We are now recruiting for School Direct 2016-17 academic year. 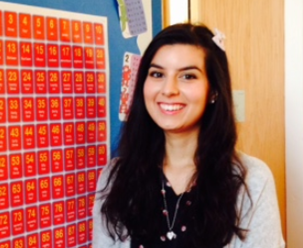 Vanessa was an Associate Teacher who trained within our Learning Partnership during the 2014-15 academic year. She then secured her first post at Longwood Primary School as a Newly Qualified Teacher. "School Direct has enabled me to develop my skills into those of an outstanding practitioner by giving me great opportunities to work with amazing staff and children over a range of schools."